Along with their huge line-up of MondoCon 4 screen print exclusives, Mondo also released a pretty stellar collection of exclusive t-shirts and pins. The Blot’s favorite new tee is this WWE inspired “The Best There Ever Was” t-shirt by Matt Ryan Tobin! It features a design on the front based on the WWF’s old school “W” logo, with the back looking like a classic WrestleMania line-up handbill. Pretty rad, right!?! 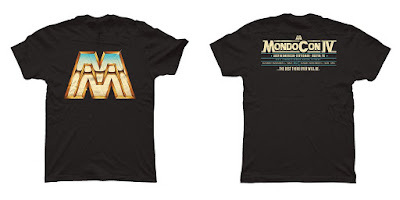 Fans can pick one up this weekend at Mondo’s MondoCon booth for $25 in various sizes.